Right from the start he provided all info and questions which led to myself, wife and son flying down to Hubert, NC, home of Winter Custom Yachts, for a sea trial. 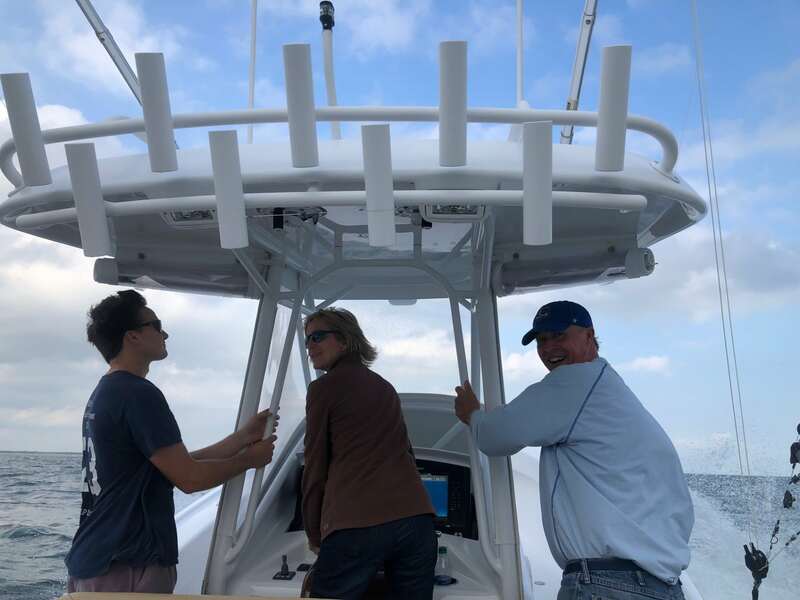 All concerns brought up during the seatrial and survey were handled and Daryl worked closely with the owners, buyer, technicians and tradesmen to seek a common solution for all concerned. Things that were not right were fixed and Daryl made it a smooth transition. The deal going forward was never in question. Broker, Seller and us the purchaser was always informed and made for a simple quiet transition. With all that said my relationship with Daryl and all who I worked with Bluewater was of the highest level. Daryl was available 24/7 even took my call on weekends. And his special relationship with the techs and professionals working on the boat to make it right kept our deal going forward. Not that I’ll be buying any new boat in the near future, but if did would recommend Bluewater and Daryl Brower.